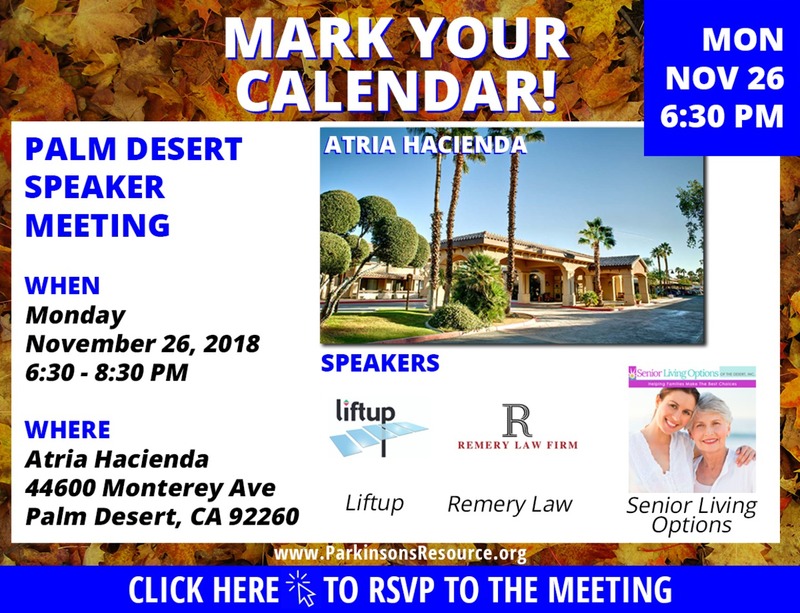 Please join me at the Palm Desert Speaker Meeting hosted by the Parkinson’s Resource Organization on Monday, November 26, 2018 from 6:30 – 8:30 PM. I am honored to be one of the speakers at this event. I hope you can join me.